Invisalign straightens smiles by using a series of clear, plastic aligners to gradually move teeth into the desired position. The removable aligners are custom-designed to apply the right amount of force to gently correct crooked or misaligned teeth. Invisalign aligners are typically worn for 20 to 22 hours a day and can be easily removed to eat, drink and brush your teeth. Patients usually wear each set of aligners for roughly two weeks before exchanging them for the next set in the series. Because no two smiles are the same, the length of Invisalign treatment varies. On average, patients wear Invisalign aligners for 12 to 18 months – however, some treatments take less than a year! 1) Greater Comfort – The smooth, plastic aligners are more comfortable compared to metal braces, which can aggravate the inner cheeks and gums. 2) Invisibility – Invisalign clear plastic aligners are virtually unnoticeable, meaning your friends, family and coworkers won’t even realize you have braces at all! 3) Removable – Unlike conventional braces, you can remove your Invisalign aligners when you want. This means you can eat and drink all your favorite foods and brush your teeth normally. 4) Convenience Factor – With Invisalign, visits to a cosmetic dentist in Yuba City are only required every four to six weeks, so you do not have to worry as much about taking time off work or pulling your teenager out of school. There is no need to let real or imagined bullies keep you from straightening your smile. Thanks to Invisalign, you can have the straight smile of your dreams without unsightly metal brackets in your mouth! Fit Dental is a family-owned practice that strives to deliver quality dental care at an affordable price for every Yuba City patient. 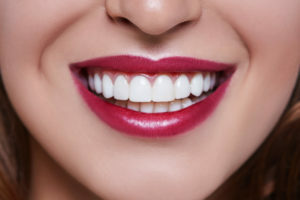 Dr. Ajaipal Sekhon and his team understand the importance of an attractive smile, which is why they offer Invisalign treatment to help straighten teeth. Patients interested in fixing the flaws in their smile can visit the Fit Dental website or call the office today at 530-822-9090.